The DesignTO Festival (formerly the Toronto Design Offsite Festival) returns to #YongeStClair from January 18 – 27th, 2019. The event features 10 days of art and festival programming anchored by immersive installations designed by local artists, architects, and design firms. 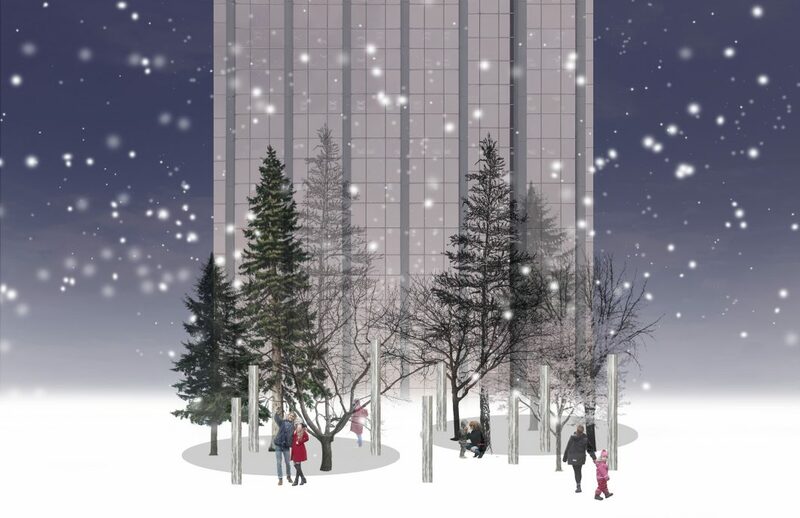 We spoke with Alexandra Lavallée, an architectural designer at superkül here in Toronto for her views on the art coming to Yonge + St. Clair, and for more details about their installation titled “ReflectLive“. 1. Can you describe your firm and why you wanted to get involved with DesignTO at Yonge + St. Clair? 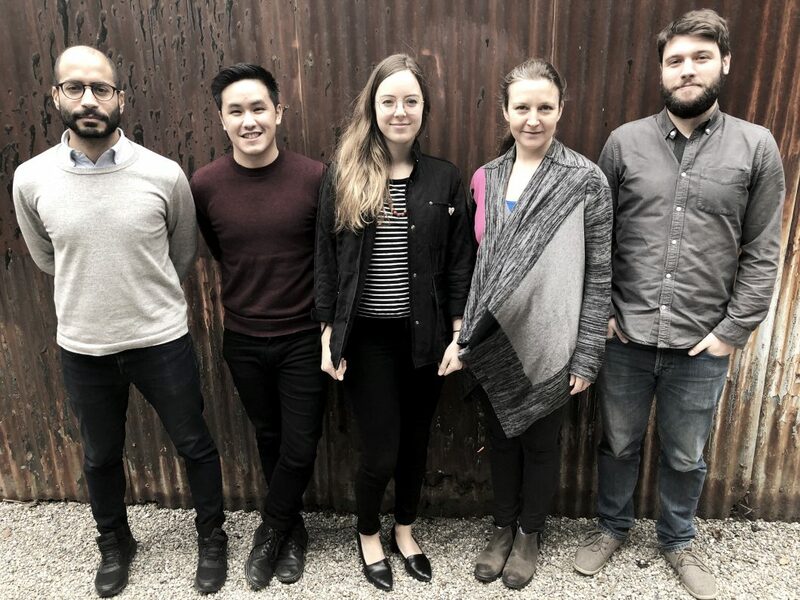 superkül is a Toronto-based architectural studio founded in 2002 and headed by Meg Graham and Andre D’Elia. The firm’s portfolio encompasses a wide array of project types, ranging from residential, commercial and institutional buildings to master planning and feasibility studies. While diverse, all undertaken projects display an immaculate attention to detail and material resolution, regardless of scale, and a profound connection to their built and natural contexts. The practice prioritizes a thorough engagement with all clients and stakeholders, and a belief in long-term sustainability guides the direction of the firm towards creating a brighter future. This type of festival brings on a high energy project under a relatively short time frame, not to mention that installation projects are really fun! It is an opportunity to explore and expand upon conceptual design ideas, and get our hands dirty. 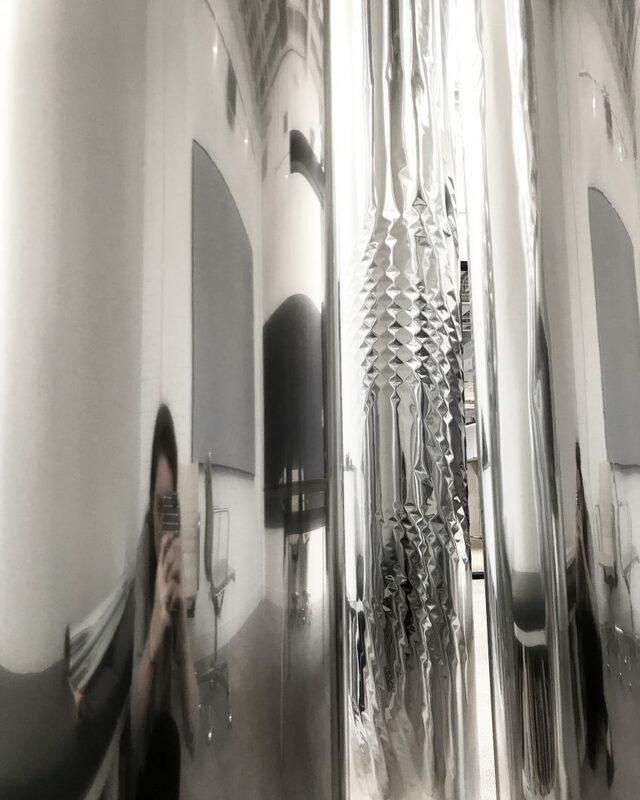 Participating in the DesignTO festival is an obvious choice as Deborah Wang, the artistic director and a founding member of DesignTO, worked at superkül for many years – she recently left to work for the festival full-time. 2. Why the Delisle Parkette? 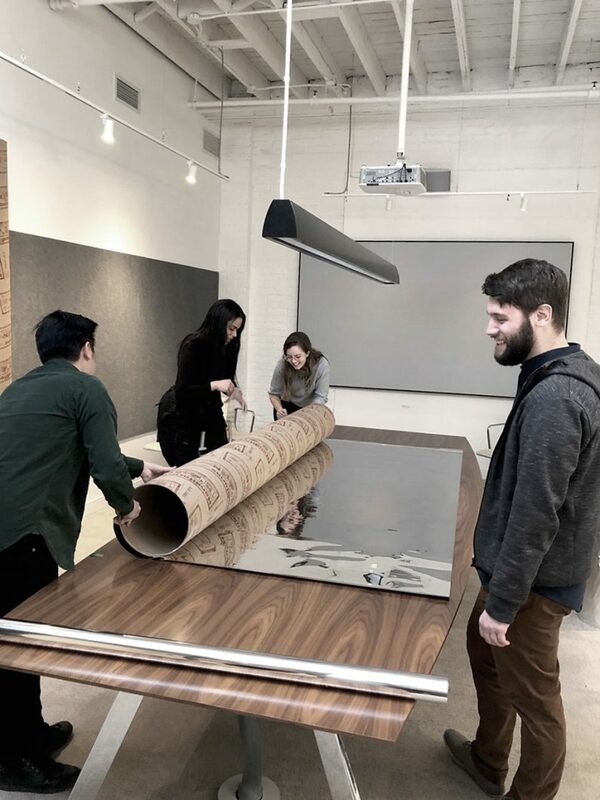 Last year, superkül designed an installation for the lobby of 40 St. Clair W. This was an interesting location as it made our installation visible to people who wouldn’t generally seek out design installations. However, the installation was mainly targeted towards the building’s users. For 2019’s edition, we really wanted to engage with the Yonge + St. Clair community. Designing an installation for Delisle Parkette means it’s accessible during the evenings and on weekends. Our installation becomes more accessible to people living in the area – passersby, children, dog-walkers, transit-takers. 3. Can you describe what the construction process looks like? How did the idea come about, and what will it take to see it come to life? Starting an installation, much like starting larger projects, begins with an understanding of the site it is to occupy. We were first inspired by the trees of Delisle Parkette and how delightful it is to amble through this urban forest. We set out to increase its density and extents by introducing reflective “tree-trunks”, adding an element of whimsy and playfulness to the parkette. Following the concept was the realisation: figuring out how to easily build, transport, install on site. We tested several materials and structural systems by building a number of mock-ups at a park by our office. Budget and constructability constraints necessitated a creative and resourceful approach to the use of materials, and structural systems that support them. For example, we considered using emergency blankets as the reflective film. By trying it out, we discovered that we couldn’t remove the fold marks. We ended up finding reflective film at a gardening store – it’s used to reflect light back onto plants. Finally, a larger team is recruited to help with the assembly and, after more issues are discovered and resolved, the assembly process is streamlined. 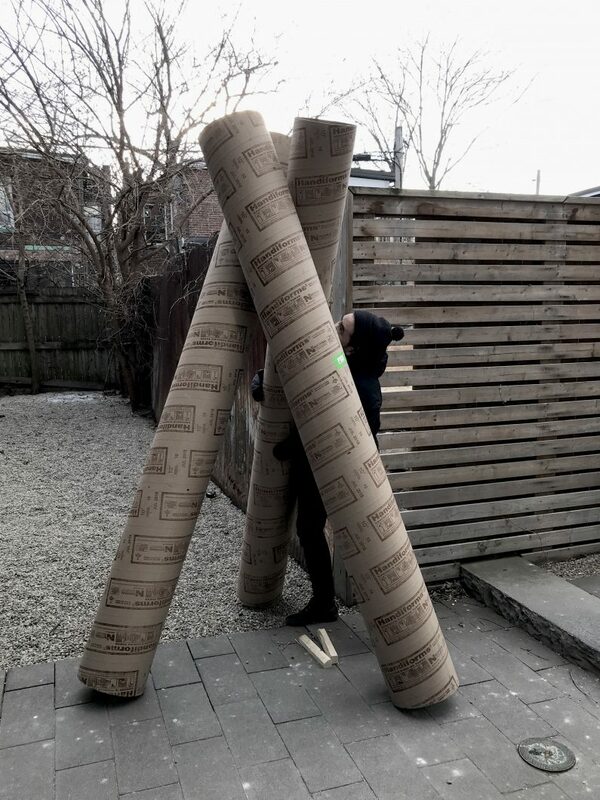 The first of our 30 reflective tree trunks must’ve taken two days to assemble, disassemble and reassemble…the last took under an hour! 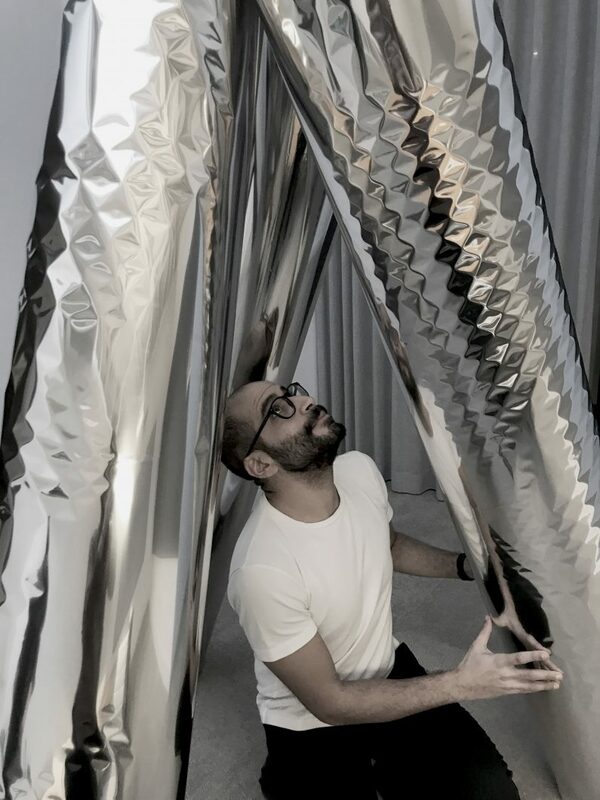 The design, construction, and execution of this year’s DesignTO installation is a true embodiment of design as an iterative process: to evolve and develop a concept into a realisation, all while adopting a creative, and sometimes unorthodox, approach to achieve the desired outcome. The superkül ReflectLive team, from left to right : Mo Soroor, Quan Thai, Alexandra Lavallée, Erica Govan, Tristan Roberton (Missing : Andre D’Elia, Janean Bruhn, Candice Gouveia). ReflectLive runs from January 18 to 27th, 2019 at the Delisle Parkette – 17 Delisle Avenue.